June and Mark Spindloe a semi-retired couple tell us about ‘Housesitting in our sixties’. They describe housesitting as a natural step after years of parenting, working and traveling to visit with family across the world. Becoming location independent and exchanging skills in pet and home care was an easy step to take in order to travel on a budget. Here is the story of how they came to adopt this new lifestyle in their sixties. 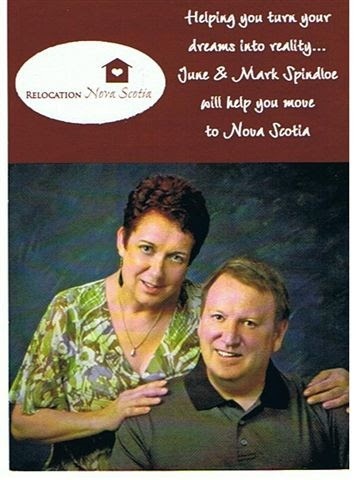 When we emigrated to Nova Scotia in 1996 we were in our 40s – we never imagined we would be Housesitting in our sixties! We were looking for a new lifestyle without the stress of the long hours we were working. After a research trip to Halifax we knew we had found the place where we could move and be happy. It was only a short flight from UK and was near the ocean which we loved. We were a blended family, I was a widow in my early thirties and had two children and Mark was divorced with two children. So between us we had to make some difficult decisions. Three of our older children wanted to remain in UK close to family and friends, so only our youngest daughter then thirteen came with us. It took almost two years to get the paperwork and visas we needed by then Mark was facing redundancy and I was totally burnt out from my career so even though it meant dividing the family we were sure that we could put down some roots and eventually they would follow. The first years were tough. We worked hard to adjust to being away from family and to establish ourselves in a new country. As the years went by we rarely had the finances or the vacation time to travel anywhere but back to UK to maintain the connections with our family and our elderly parents. By 2007 my mother had passed away and Mark had lost both his parents. By then we had bought a spacious home in Halifax and had room for all of our family to visit but the long winters and work commitments always seemed to get in the way of our children visiting and the idea of any of them wanting to join us on a permanent basis was slipping away. Our youngest, now thoroughly “ Canadian “ daughter left home in her twenties and ended up moving to British Columbia. So there we were just the two of us! Don’t get me wrong we had no regrets about our decision to move. We had less stress and were enjoying the lifestyle. In 2002 we decided to work for ourselves using extra space at home to open a Bed and Breakfast. 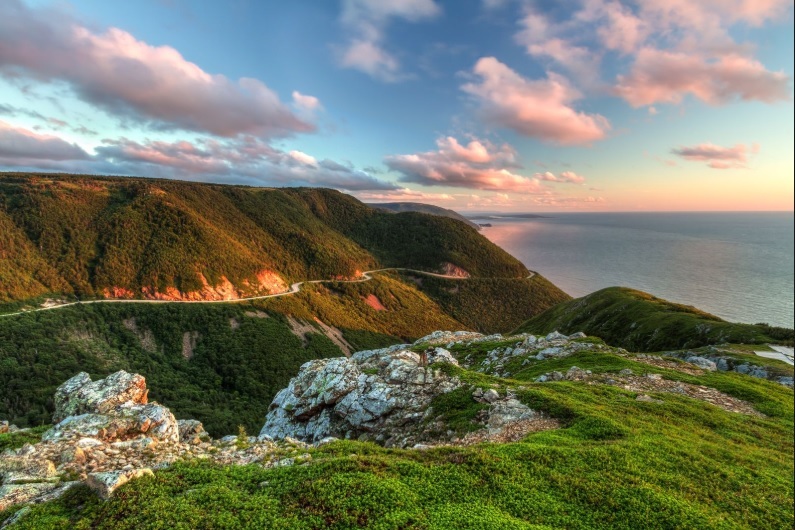 The summers were glorious in the Maritimes and tourists took advantage of cheap flights from Europe and other parts of Canada in the summer to come and visit our neck of the woods. It was a turning point for us, we met guests from all over the world, from diverse backgrounds and cultures. Our lives were filled with new people and purpose, this went some way to replacing our sense of missing family. Our home soon became a hub for many newcomers as I had recognised a need for settlement service for new immigrants. I launched Relocation Nova Scotia and also trained as a life coach. Mark became a Realtor and during the winter we offered long term accommodation to new arrivals until we found them a more permanent solution. Many of them were families with children and some the same age as our now grown up children, so we could relate. I became “Mumsie” to many of our visitors. My role was to help with practical advice and solutions. Sometimes even a hug and few words of encouragement would help guide them through the process of adapting to their different lifestyle. Our door was always open for anyone who needed our help or advice. Over the years we made some amazing friends and had a great network of people we could rely on when needed. I could identify with the newcomers we met and their sense of loss missing family and friends, I made sure that no one who was in need would ever feel alone in their new life. Meanwhile, we weren’t getting any younger and our children were now all independent. We had grandchildren yet there was still no sign of any of them wanting to join us. I actually became quite depressed by this and finally I realised that life for us couldn’t go on as it was. I realised that the only way to make our lives work was for us to become mobile, location independent so we could visit family ourselves. In 2014 and 2015 we had two of the most severe winters that we had experienced thus far and to boot I also suffered two bouts of pneumonia. The East Coast lifestyle was finally taking its toll on us. 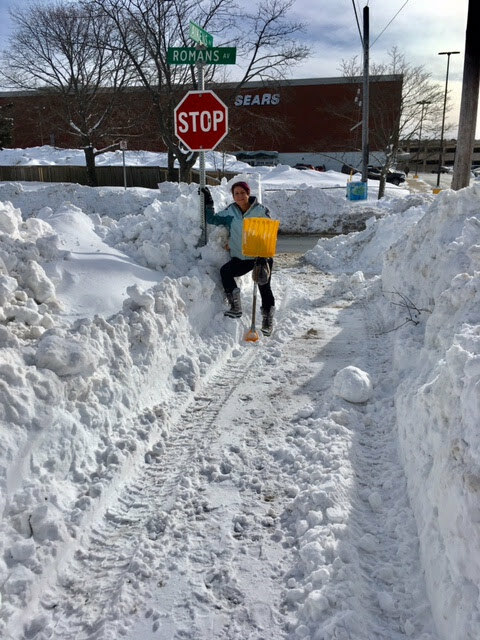 We spent long back-breaking hours shovelling snow to access our driveway with many days unable to get out and about. Short days and cold temperatures also added to our low mood. Even my love for gardening was becoming a chore with no Spring it was June before the weather was hot enough to get outside and by then it was a jungle. What had been easy to deal with in our forties was not how we wanted to spend our sixties! Mumsie was not happy! I was missing my daughter who was now in Vancouver, a 10 hour flight away. Both our sons were now married. Our grandchildren were growing up and our once a year trips were becoming financially challenging to manage each year. The flight across Canada from east to west coast is expensive and is still a 10 hour trip. If we then flew to UK from Vancouver that was another 10 hour flight with another cost to factor in. How would we keep this up on a pension? It was a real dilemma. I struggled to figure out a way to leave Nova Scotia and be location independent. In 2014 we decided to sell the house and make a move. I “self-coached“ my way through a long winter, making a vision board, setting a goal and building an action plan. I knew we would find a solution. Though family and friends were shocked that we were somehow reversing our move to Canada. They just assumed we would always live there. Where would we move to ? We had no idea where to move to. But we took action as we knew that we had to make a another life changing decision for our retirement years and this was the only way to make it work financially. Little did we realise that it would take three years to sell our house in the depressed housing market on the East coast. In a strange way though looking back it seemed that we needed that long to get this plan to work. Hindsight is a wonderful thing, if you had asked me that a year ago I would have ripped your head off! What to do with our pets? Another heartbreaking decision was how and when to re-home our pets, as we didn’t want to have to be in a position of moving and not having found them forever homes. We had a rescue Jack Russell and a rescue Ginger Tom cat. We eventually found them loving homes but it took months. I won’t deny that this was really hard for me and I shed a few tears when I came home to an empty house on many occasions. We continued to visit UK whenever we could, each time we did more research online and explored some of the different ideas for our future. Mark even looked at buying a narrow boat (his dream lifestyle). As an alternative we checked out mobile home sites but the price of these were now out of our price range given the Canadian dollar exchange rate and marina and site fees. We thought about living in a flat near our son and daughter. However, within the year we started looking they both moved homes. Had we moved it wouldn’t have brought us any closer to family! The Vancouver housing and rental prices had reached an all time high and none of our now adult children had space to accommodate us when we finally sold the house. So we had hit a wall. We made a strict budget and decided to stick to it. We bought nothing except the essentials for two years, selling everything we didn’t need or use. Then we signed up as Airbnb hosts. We also took part time jobs to pay for future airfares and moving costs. Still brainstorming ideas I thought maybe we could become housekeepers or caretakers. One dreary cold day in January 2017 during another snow storm I sat down to research the internet and a housesitting article came up. The seeds for housesitting in our sixties had been sown. I devoured as much information as I could on the subject and knew instantly this was a lifestyle that could work for us. Finally, I had the answer. To our complete surprise in February, a month after my Eureka moment, we received an offer for the house. We were so ready to leave! Within three weeks we had sold as much as we could including our vehicle and we stayed with a friend while we put our first housesitters’ profile on line. We had somehow managed to downsize our four bedroom 2000 sq ft home into three suitcases and a tiny storage unit holding a final few personal possessions. It felt strangely freeing but scary at the same time. Housesitting in our sixties was liberating! Mumsie was on the move! Our children were all wary of our new idea but had seen us survive so many life changing events in the last 20 years they just gave up and sat back to see what would happen next. We had no desire to travel to exotic destinations or dreams of being tourists for the rest of our lives. Housesitting in our sixties was the way we had finally found to travel. We would use all our years of home and pet ownership and our flexible mindset to help us adapt to the constant change of being on the move. The UK housesitting scene is more active than Canada, however, so we were concerned it might take us a while to get started. As bed and breakfast hosts we earned over 200 reviews on Airbnb and were proclaimed ‘super hosts’. This was the one advantage of the extended time it took to sell our home. Moreover, it was an added bonus for our profile, and we were able to share this with potential homeowners when we started applying for housesits. The experience of working with a large variety of people helped us prepare for housesitting in our sixties. We had also worked those extra jobs as cleaners and in property management so got some great reviews and character references to include on our profile. Everything was finally falling into place to help us launch into our new lives Housesitting in our sixties. The one action of selling our house ahd had a snowball effect. Our daughter in the UK surprised Mark with a trip across Canada by train for his birthday. She had booked tickets for March not knowing that we would be homeless by then. Our other daughter who lived in Squamish, a small mountain town located between Vancouver and Whistler, contacted us to ask for our help. She had booked a trip to Europe to meet our son and family and she needed dogsitters. 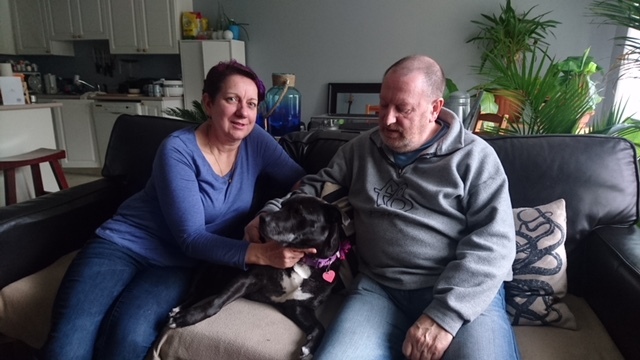 Her elderly dog Penny was too ill to go into kennels and needed regular medication. Well, we could actually housesit for her and so came the unexpected turn that helped us start housesitting in our sixties. We didn’t hesitate as we hadn’t seen her in over a year. So Mumsie got on a plane to Vancouver and Mark boarded a train with Clare our daughter. A week later we were all reunited in Squamish, British Columbia. We had left in mid-winter on the East coast during a freezing rain storm and had arrived at the start of a West Coast spring. We inhaled the scent of fresh green grass and daffodils and gazed on the beauty of the surrounding mountains and rain forests. It was a dream come true. As we unpacked our few possessions I felt as if a weight had been lifted from my shoulders. After the years of planning, working and worrying. I knew that this was the beginning of something wonderful. A few months later Mark turned 65. Now that he officially qualified for a pension we realised that the challenge was to live as frugally as we could for as long as possible. 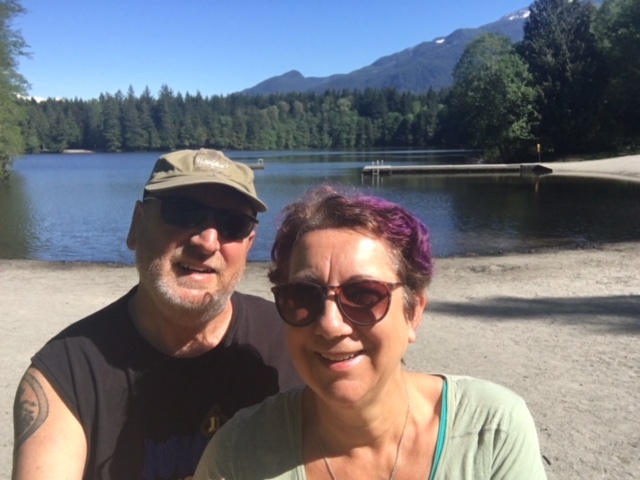 Traveling as housesitters and petsitters allows us to do this by conserving our retirement funds for living expenses and travel to see our family. 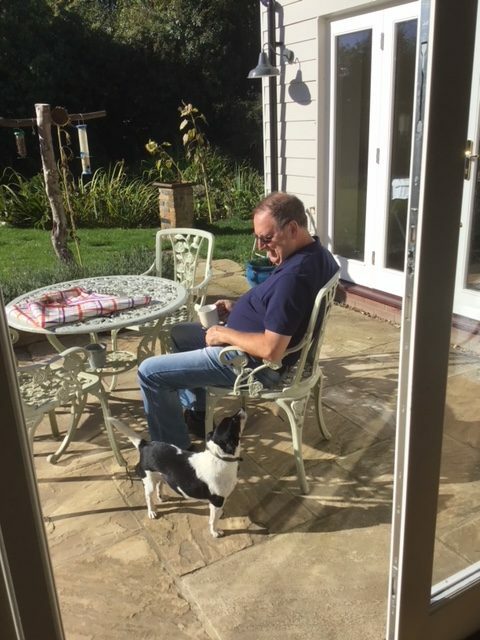 Housesitting in our sixties has been a complete success for us, since that first sit over a year ago we have completed over 20 sits in UK and Canada. We have met some wonderful home owners and pets and already have repeat sits booked ahead. Having joined many housesitting platforms such as HouseSitMatch.com we’re eager to share information with anyone considering housesitting in retirement. Housesitting in our sixties is great. We recently celebrated our first year as nomads housesitting in our sixties, by flying back to Nova Scotia to close our storage unit. It took almost two weeks to drive back across the country and was the trip of a life time. A voyage of discovery crossing five time zones. Now we have been in every Province in Canada! “ Creating a life suited to your own unique set of desires and needs is an experiment. You get to discover what works, if you keep exploring the possibilities you can find the most amazing success”. Thinking of housesitting in your sixties? So why not go house sitting over 60. Take time out and give it a go!